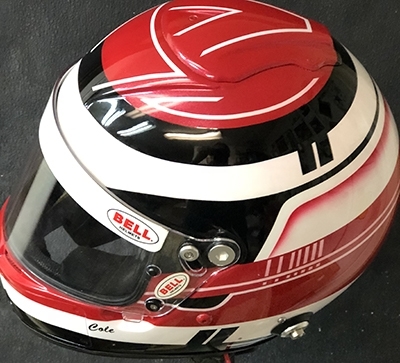 Bell race helmet design 9-18 is a three-color, red, white, black fairly simple design that flows nicely with the helmet. 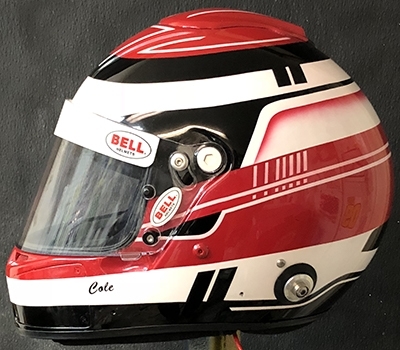 Working closely with Cole we together came up with this design. 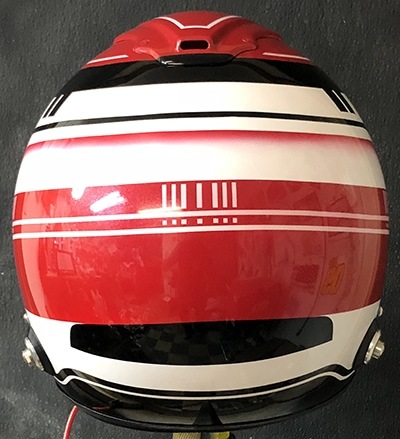 The helmet was sprayed with three coats of Tamco High Impact clear coat to protect the design and provide a long-lasting shine. 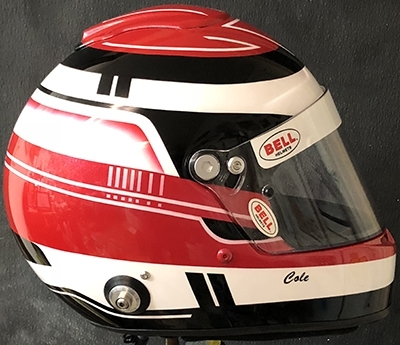 Contact Me now to get started on your race helmet.